I confess: I am a late-night reality TV binger. After a day of writing black and white words on a computer screen, wading into deep, quiet page pools, and capturing fantasy scenes as quick as my fingers can follow, my brain is pickled come nightfall. While my husband unwinds with epic movies, intricate crime dramas, and complicated plots, I lean toward one-hour forays into reality’s peccadilloes. Judge as you may. And rightfully so. 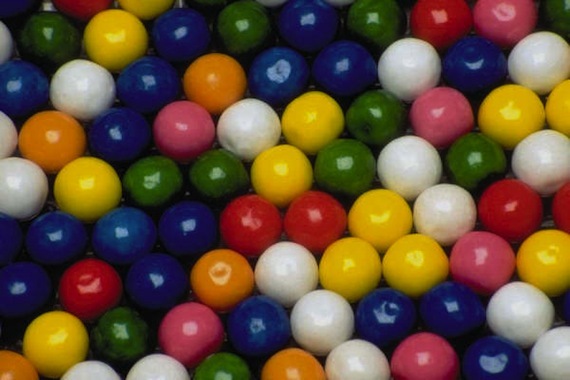 At a particular hour, my mind goes flat as a penny, ready to be dropped in the candy turnstile for bubblegum reward. It isn’t hard to find fodder for my bender. Years ago, Survivor was the only “reality show” on prime time. Now, however, they’ve become the mainstay of network programming. Just when I’d pronounced myself lost to empty, mindless indulgence, I invented a game: matching reality programs with classic literature. After playing a few times on the couch (flat screen to my left, library shelf to my right), I’m now unable to watch reality shows without asking, “So, what book is this like?” Inevitably, I discover one lesson on how to live and another on how to write. Life Lesson: There’s a fine line between wanting to possess all the best and madness. Writing Lesson: Beware of overwriting. That collection of French lace doilies on the piano, drawers of prized pewter spoons, and shelves of antique Dresden figurines might make you proud, but if they don’t serve a plot purpose, they’re no better than Emma’s house of debt. Box up the expensive word clutter and give it to the story Goodwill. The prose will be finer for it, and you won’t have to eat arsenic to get out of bankruptcy with readers. Life Lesson: A pretty face will only get you so far. Never underestimate the power of your unique voice. Writing Lesson: Describing a story’s landscape, clothing, food, room objects, etcetera is excellent to immerse the reader in your fictional world, but the voices of the characters are the true lifeblood of the narrative. You lose those and all the rest is flotsam on the sea. Life Lesson: That corroded oil lamp might be worth something…extraordinary. But if you leave it buried in the garage, it’s just a forgotten thing. Writing Lesson: Don’t be afraid to take your time and dig through the top layer of your story idea, to research and explore the possibilities of seemingly grimy, old secrets. Those usually prove the most valuable to the makeup of your characters and plot. A diamond isn’t glittering bright in the mine. It’s hidden, dirty, and in need of someone with the patience to give it a good scrub and believe in its splendor. Life Lesson: At the end of your best or worst day, gathering round the table with your family for blessing and home cooking feels good. Writing Lesson: As writers, we often neglect our realities for the prose. We invest so much of ourselves in our craft that how the writing goes is how we go. A good writing day and we are Pollyannas. A bad writing day and we grump around the house, annoyed that the dog dared step in our path. I’ve learned that after a long stretch of writing — good or bad — I need dinnertime. I gather ingredients, chop, sauté, simmer, and cook a solid meal, then I sit with my family and reconnect. It never fails to ground me and rejuvenate my creativity. Life Lesson: Whenever you make your world a remote island, there’s bound to be a tribe gang-up, a broken shell of decorum, and people listening to pig-headed voices. Savage. Writing Lesson: Enclosed scenes are dramatic. Lock your characters together in a room (be it a gated community or an island). It’s bound to produce conflict and conflict is story fuel. Life Lesson: “Often, the less there is to justify a traditional custom, the harder it is to get rid of it.” From Tom himself. Writing Lesson: Everyone wants the bylaws to writing prosperity. That’s why nearly every published author interview includes the question: “What’s your daily routine like?” We want to know how they did it so, perhaps, we can mimic to similar results. But the truth is, there is no set of commandments. One of my M.F.A. mentors wisely counseled me that yes, creative workshops and studying great literary masterpieces would strengthen my writing muscles. My shiny diploma would be a reminder that I exercised with experts and tested well. But…so what? In the end, she said true success would only come when I threw the traditions out the window and journeyed on my own. That pretty much terrified me. Now, I realize how right she was. Life Lesson: If you’ve re-envisioned, demolished walls, rebuilt, replanted and repainted, sweat, cried, and exhausted yourself in the creative process but the results don’t make you marvel, it may be time to move on. Writing Lesson: Never be afraid to shelf a project or even (gasp!) toss it in the never-to-be-seen-again drawer. I have two entire novels in that garbage drawer and one novel on the maybe-another-day shelf. I had to write these books to be able to move on to better story ideas. There’s nothing wrong with that. In fact, one might argue it’s far healthier than sitting on a mush of an overworked book that you find tired and dreary. I’m not an advocate of book burning or anything dramatic. Keep the pages under lock and key. Stroll through them from time to time if you like and maybe, one day, their season of bloom will come round…or maybe not. And that’s okay, too. Life Lesson: A dysfunctional household begets progeny that may end up poisoning the whole lot. The Brits get it. S.O.S., Kenneth Branagh and Jo Frost. Writing Lesson: Stop and examine your writing motives. Be real with yourself: ask why you want to write and answer truthfully. It’s between you and you. If your aim has anything to do with money, power, fame, revenge, or recreating the death of your father to shame your mother, well, you got trouble in your household. All of these are toxic to your book and the writing community. If your answer has to do with being devoted to a story and so blitzed in love with the characters that you feel a physical ache whenever you aren’t actively engaged with them, then you’ve got a wholesome foundation to build on. Life Lesson: To whom much is given, much is expected. Writing Lesson: We don’t bequeath our treasured stories to just anybody. As writers, we need to remember it’s vitally important to be readers and cheerleaders of each other. We’ve been given much and we must give in equal abundance. I don’t understand anyone who wants the world to sing his/her written praises, yet remains mum about courageous colleagues. We need the “Fellowship of the Book” for all to succeed. Life Lesson: They may drive you crazy, destroy your prized possessions, steal your best friend, and break your heart, but when it comes down to the brass tacks, your family will fight the paparazzi for you. Writing Lesson: Your characters might make you crazy, keep you up all hours chatting your ear off, and cause you to wonder if you’re clinically diagnosable, but they are your people — as much a part of you as your kin. In some ways, they might even be more you than flesh and blood. So forget everything else and fight for them. No matter what happens in the story or with the manuscript, that’s one thing you won’t ever regret. a nice idea for a column – enjoyable, clever and thought-provoking! Thank you, Mairi! So glad you enjoyed. Who knows, perhaps there’s a Part Deux in store for this game column. WHAT! No Here Comes Honey Boo Boo? Perhaps the central fact of Dumas’s life was that he was of mixed race, a “quadroon.” His paternal grandparents were a French nobleman stationed in Haiti and a Creole woman of mixed French and African descent. Their son became a general in Napoleon’s army, but he fell out of favor and his own son, Alexandre, was born into poverty in 1802. No writer ever succeeded without hard work, and Dumas often put in 14-hour days producing more than 200 books, plus plays, stories, and a small mountain of journalism. Soon after arriving in Paris from his native Villers-Cotterêts, he was writing hit plays, followed by hit novels. After turning one of his plays into a serial novel, he opened a production studio with a team of writers who cranked out hundreds of stories. Dumas used many collaborators during his career, most notably Auguste Maquet, who helped him write dozens of plays and novels, including Musketeers and The Count of Monte Cristo. Maquet would later take Dumas to court seeking joint rights to their collaborations, but the court awarded him financial damages while Dumas retained the rights to the works. It was a case of the whole being greater than the sum of the parts. After the court case, neither man, working alone, produced any memorable work. Simonini disparages a couple of redshirts because they are “storytellers like Dumas, embellishing their recollections so that all their geese are swans.” Guilty as charged. Dumas did his historical research, but he had the good sense not to let facts get in the way of a good story. Unlike his contemporaries Balzac and Dickens, he shunned realism in favor of escapist entertainment, and so instead of taking his readers into the salons and slums of Paris, he took them back to the 17th century (The Three Musketeers and its sequels), back to the French Revolution, back to the aftermath of Napoleon’s downfall earlier in the 19th century (The Count of Monte Cristo), always back. Many critics dismissed him as a lightweight, but readers couldn’t get enough. Like Dickens, Dumas sold many of his novels as serials, which called for brisk action, constantly rising and falling fortunes, and titillating cliff-hangers. And, as with Dickens, you sometimes get the sense that Dumas had one eye on the meter — that is, that he was a little too well aware that he was getting paid by the word. But readers didn’t complain. They were too busy devouring Dumas’s tales of unjust imprisonment, stock market swindles, buried treasure, blackmail, back-stabbing, suicide, poisoning, kidnapping, forgiveness, revenge, and countless other human virtues. Though Dumas surely would have recognized the new Musketeers movie for the dog it is, he just as surely would have appreciated it for keeping the franchise alive until the next adaptation comes along. The cast of this new 3-D version looks like it was culled from an L train full of hipsters headed for Williamsburg, Brooklyn. The shining exception is Christoph Waltz, who plays duplicitous Cardinal Richelieu. Waltz is such an interesting actor that I would pay money to watch him paint a door, but here he is given some wooden lines — “Evil is just a point of view” and “I am France” — that would have dismayed Dumas, a master at writing dialog. Dumas was still making news more than a century after his death. He was buried in the town of his birth and remained there until Nov. 30, 2002, when French President Jacques Chirac ordered the body transported in solemn procession to its rightful resting place in the Panthéon in Paris, where Voltaire, Rousseau, Émile Zola, Victor Hugo, and other French immortals are entombed. Dumas would have loved the spectacle. During a televised ceremony, the coffin was flanked by four Republican Guards dressed as the Musketeers Athos, Porthos, Aramis, and their sidekick D’Artagnan. Chirac said France was “repaying an injustice which marked Dumas from childhood, just as it marked the skin of his slave ancestors.” Two centuries after his birth, Dumas had finally overcome his humble origins. The critic Jules Machelet has called him “an inextinguishable volcano.” Don’t expect the lava to stop flowing anytime soon. 1. Our pair of Most Anticipated posts were popular among readers looking for something new to read. Our 2013 book preview is coming soon. 3. Dashboard? More Like Bookshelf: Your Guide to Literary Tumblrs: The Millions debuted on Tumblr in late 2011 and Nick Moran helped us get acquainted with our new neighborhood by exploring the rich array of literary Tumblrs. He followed up with even more literary, Tumblr-y goodness a few months later. 4. Tolstoy or Dostoevsky? 8 Experts on Who’s Greater: Kevin Hartnett orchestrated a throwdown, asking eight scholars and avid lay readers to present their cases for Tolstoy or Dostoevsky as the king of Russian literature. 5. Our star-studded Year in Reading, with 74 participants naming 261 books, was a big hit across the internet. 7. Judging Books by Their Covers: U.S. Vs. U.K.: This unscientific look at book covers had readers taking sides in a trans-Atlantic design debate. 8. This Chart Is a Lonely Hunter: The Narrative Eros of the Infographic: Novelist Reif Larsen delivered a richly illustrated tour of the infographic, plumbing our fascination with information, beautifully presented. 9. It’s All in Your Head: The Problems With Jonah Lehrer’s Imagine: A couple of months before Jonah Lehrer landed in the center of a firestorm of controversy over plagiarism and fabrication, science writers Tim Requarth and Meehan Crist pointed out the problems with the science behind Lehrer’s bestseller. Lehrer himself showed up to defend his work in the comments, but the piece would become one of the first data points in the emerging story of Lehrer’s downfall. 12. Big Bird is History: Why We Fund PBS: Shortly after Mitt Romney told the world he wants to fire Big Bird, Elizabeth Stevens explained why the free market alone can never be trusted to produce quality educational programming. 13. Crime Pays: Jo Nesbø Talks about Killing Harry Hole and the Best Job in the World: The Scandinavian crime novel remains a favorite genre, and Robert Birnbaum delivered an illuminating interview with one of its foremost practitioners. 14. Dickens’s Best Novel? Six Experts Share Their Opinions: Kevin Hartnett again polled the experts, this time to discover the best on offer from the prolific 19th century master. 15. Literary Fiction is a Genre: A List: Edan Lepucki’s got news for you: literary fiction is a genre with its own conventions, just like romance and thrillers. Her argument is both clever and convincing. 17. Are eReaders Really Green? : Ebooks are here to stay, and some suggest that the move to digital will save a lot of trees and carbon-spewing transport, but Nick Moran ran the numbers to find that going digital doesn’t necessarily mean going green. 18. Ban This Book: An Uncensored Look At The Lorax And Other Dangerous Books: Alan Levinovitz used Banned Book Week as a launch pad for revealing the closet censor that lies within all of us. 19. Is This Book Bad, or Is It Just Me? The Anatomy of Book Reviews: We always seem to be in a crisis of book reviewing, but Darryl Campbell wanted to mark out some territory for what the book review should be, not just what it is. Along the way he breaks down the form to its essentials. 20. The Game’s Afoot: The Case of the Mystery Genre’s Terrible Secret: Daniel Friendman lampoons the many tired tropes of the mystery novel. Get ready to have an entire genre irrevocably spoiled. There are also a number of older pieces that Millions readers return to again and again. This list of top “evergreens” comprises pieces that went up before 2012 but continued to interest readers over the last year. 1. The Best of the Millennium (So Far): Our late-2009 series invited a distinguished panel of writers and thinkers to nominate the best books of the decade. The ensuing list stoked controversy and interest that has lingered. The write-ups of the “winner” and runners-up have also remained popular. We also invited our readers to compile a “best of the decade” list. Perhaps unsurprisingly, the readers’ list seemed to receive a warmer reception. 2. A Year in Reading 2011: 2011’s series stayed popular in 2012. 3. Introducing Difficult Books, A Descriptive List: Our currently dormant, but still fascinating series on the most challenging (yet rewarding) books ever published. 4. Hard to Pronounce Literary Names Redux: the Definitive Edition: Six years on, our “definitive” literary pronunciation guide is still a favorite The Millions. There must be a lot of people name-dropping Goethe out there. The initial, aborted attempt remains popular as well. 5. Confessions of a Book Pirate: Our interview with someone actually “pirating” ebooks put a face on a nebulous trend and generated huge interest among readers, the publishing industry, and the media. 6. Reasons Not to Self-Publish in 2011-2012: A List: Self-publishing has been one of big industry trends of the last few years, but Edan Lepucki gave us eight reasons why she won’t be self-publishing… at least not any time soon. 7. The Best Sports Journalism Ever (According to Bill Simmons): Sports fans love this collection of links to some of the best sports writing of all time. 8. 12 Holiday Gifts That Writers Will Actually Use: Hannah Gerson’s list of gifts for writers includes only one book and exactly zero blank journals. 9. On Our Shelves: 45 Favorite Short Story Collections: A terrific list that will keep the short story fan busy for quite a long time.